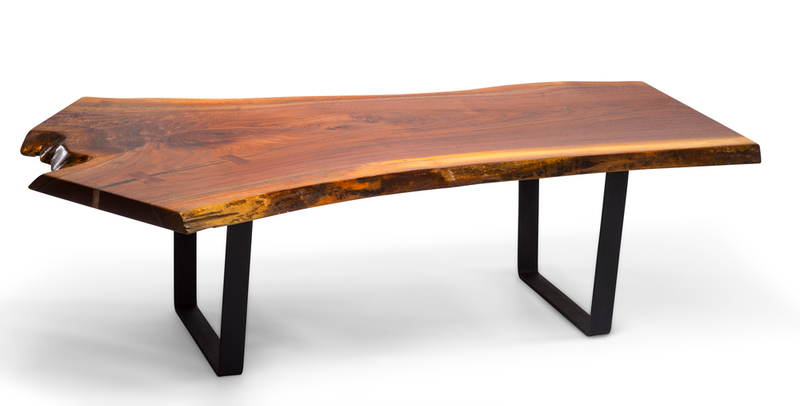 North American Black Walnut slab featuring rich grain, "live" edge and naturally occurring knots celebrate the organic quality of the wood table top. Flat square steel legs with black finish. 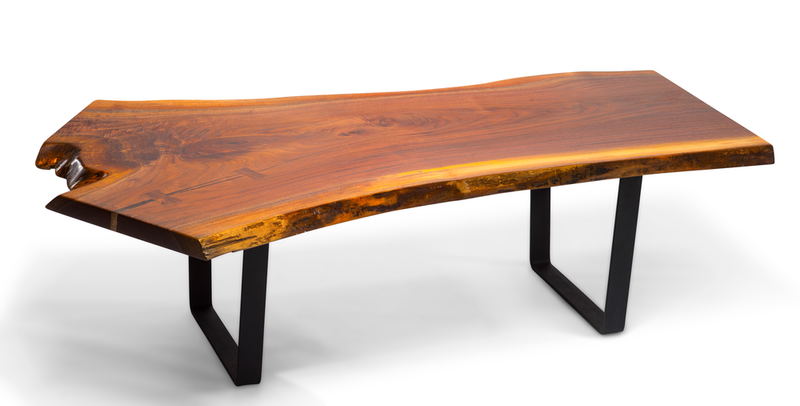 A remarkable statement in any room. 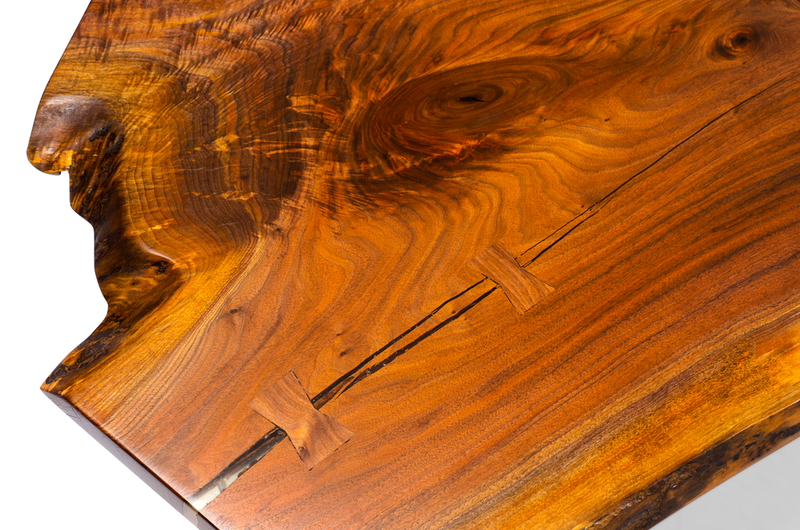 As with any natural material, variations in the texture and color of the wood are to be expected and are not defects. Italian Designed, American Made. We have receivd your offer. Thank you!